New Zealand Oil Services Limited (NZOSL) faced a common engineering challenge: manually managing and controlling a large number of drawings. In order to increase efficiency, NZOSL needed to optimize their processes including collaboration with external contractors and provision of accurate information to on-site staff. To solve this, they reached out to a trusted partner, Matrix Applied Computing, to find a way to save time and improve data accuracy. Matrix was able to deploy a BlueCielo solution at NZOSL that improved workflows, automated pdf generation and decreased the number of tagged out drawings by more than 66%. 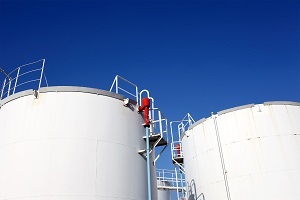 As a result New Zealand Oil Services has experienced an increase in engineering drawing management efficiency, an increase in associated data accuracy and a simplification of their processes. All of which benefits the end user of the energy – you and me. "The drawing database is functioning very, very well. The hard work and money put into upgrading the software and programming earlier in the year has paid off in spades. I’m getting monthly automated reports of the number of drawings tagged out and which contractors are involved. That’s outstanding!" – Drafting Co-ordinator, New Zealand Oil Services Limited.